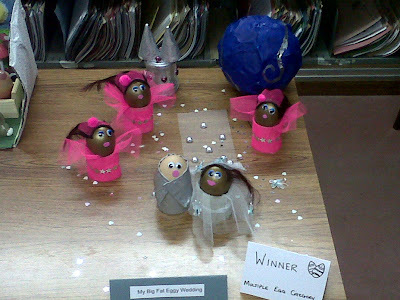 Check out my friend Michelle's winning egg designs for her office's easter egg comp. My Big Fat EGGY Wedding! !